On behalf of the Democratic Alliance I would like to pay tribute to Helen Zille, who has announced today that she will not seek re-election as Leader of the DA at the Party’s Federal Congress next month. When Helen was elected to lead the Democratic Alliance on 6 May 2007, she pledged to build the opposition, govern effectively, grow our party and make it more diverse. Through her incredible hard work and principled leadership she has more than delivered on these commitments. 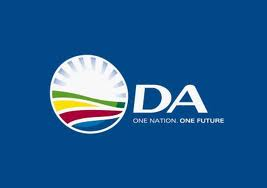 In the last eight years, the DA has grown from 12% of the national vote to nearly 23% – from 1.9 million votes to just over 4 million, an unprecedented growth of 33,7%. Under her leadership the DA stopped the governing party from attaining a two-thirds majority, and we have used our increasing numbers to provide effective opposition in our national Parliament, the Provincial Legislatures and Municipal Councils. At all times Helen has been a passionate defender of the Constitution and of the inalienable rights it contains for all South Africans. Her fearless protection of the foundations of South Africa’s constitutional democracy; the rule of law, the independence of key state institutions, the sanctity of individual rights and freedoms and holding the executive to account has played a material role in ensuring that the DA under her leadership has helped keep democracy alive in our country. It was because of this commitment that she was determined to review the decision to discontinue the prosecution against Jacob Zuma and the decision to appoint Menzi Simelane as the NDPP. The litigation that she initiated established bench-mark precedents in the development of constitutionalism in South Africa. In 2008, under Helen’s direction we announced that we were no longer just a party of opposition but a party of government. This was an important moment in the evolution of the Democratic Alliance. Since then, we have won elections in the City of Cape Town and many other municipalities in the Western Cape, Northern Cape, Eastern Cape and Gauteng. And, for the first time, in 2009, we took control of a province, an achievement that was repeated in 2014 with a dramatically increased majority. Helen has an outstanding track record in government. She was voted World Mayor of the year during her tenure as Mayor of Cape Town and her approach – based on clean government, hard work and personal responsibility – has been an indisputable success. Under her Premiership the Western Cape now has the lowest unemployment rate in the country, the best education and health systems, and the best record for basic service delivery. Our performance in government has helped us to grow with every election, making the DA the only party since the advent of democracy to do so. As we have grown, Helen has helped ensure that we have diversified our leadership, our membership and our voter base. Under Helen Zille’s leadership we have become the most diverse party in the history of South Africa. We have built new branches in townships and far-flung rural communities. Last year, for the first time, the majority of the DA’s support base was drawn from previously disadvantaged South Africans. This is increasingly reflecting itself in our leadership. Now, more than ever, South Africa needs a strong non-racial party committed to protecting our constitution and eradicating the legacy of apartheid. Every member of our party understands this, which is why they work so incredibly hard to keep us on an upward growth trajectory. Their commitment to do so is a direct result of Helen’s unrelenting focus on building the DA and her heartfelt desire to create a genuinely better life for all South Africans. And as we head towards the local government elections in 2016 the DA is poised to grow our support even more, and to govern new municipalities throughout South Africa and in so doing restore hope for a better future to millions more South Africans through clean, effective and caring government. This is arguably Helen’s greatest legacy of all.